The new 3-star Ibis Tallinn Centre Hotel is scheduled to open in July 2019. It will be a modern hotel in a new 6-storey building. The hotel will have 190 guest rooms and a restaurant with 120 seats. 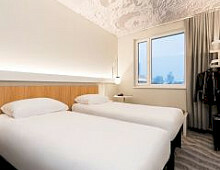 Located in the city centre in walking distance to the Old Town it is a very welcome addition to the Tallinn hotel scene. 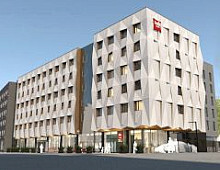 By the beginning of June Tallinn hotel scene will welcome a new 3-star ibis Tallinn Center Hotel. The modern hotel will have 190 guest rooms including 95 standard double rooms, 65 standard twin rooms, 25 triple rooms and 5 premium rooms with double bed and sauna. All rooms will be equipped with air-condition, smart TV, WIFI and private facilities with shower and hairdryer.